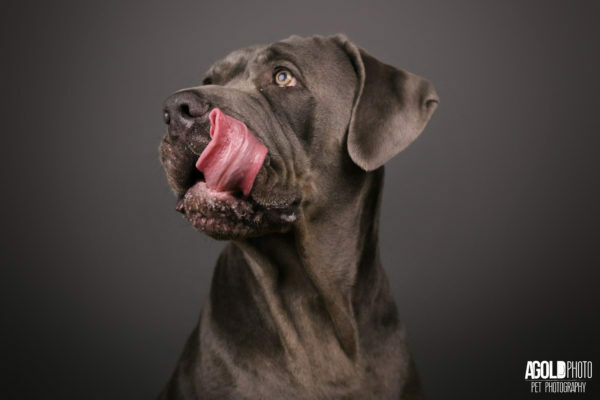 The costs associated with a pet photography business, without a studio, may seem low, but when you factor in professional level equipment, software, travel, marketing, photo storage and covering personal expenses…the costs add up. The idea for AGoldPhoto Pet Photography was never to make money. We were taking adoption photos for Humane Society Tampa Bay on the weekends and after a few months of volunteering, they asked us to host a Pet Photo Shoot Fundraiser. As the word got out, more and more pet owners asked us to take photos of their pets who wanted to see their pet’s personality in the photos. A request for a private pet photo shoot from someone in Fort Myers, Florida prompted us to reach out to Gulf Coast Humane Society to host a Pet Photo Shoot Fundraiser. The shelter staff suggested we reach out to Humane Society Naples to host an event too. After the success of Tampa, Naples and Fort Myers, we reached out to numerous animal shelters in Florida asking to partner up. Adam left his job as a marketing director in May 2017 at a software company to take photos of pets full time. What was just a passion turned into a full-time business. We don’t have our own studio, which eliminates the costs associated with a physical space, but we can also travel to clients whose pets don’t do well in public or have multiple pets. 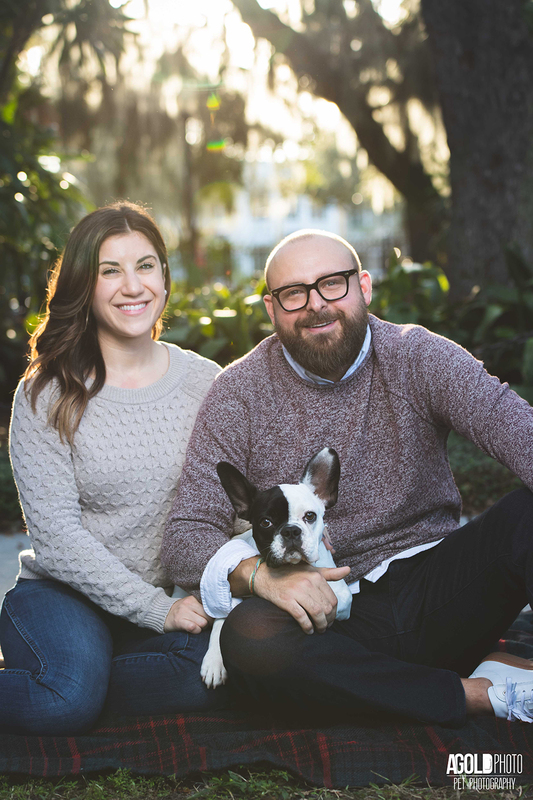 There are pets who need quality photos all over the country, so we often travel to cities outside of Tampa to host Pet Photo Shoot Fundraisers. Cities we like to travel to are Boulder, Denver, Atlanta, San Diego and Nashville. We’ll be traveling to more cities as we continue to grow. Our style has been kept consistent with our gray backdrop, but we have also launched additional styles based on requests. 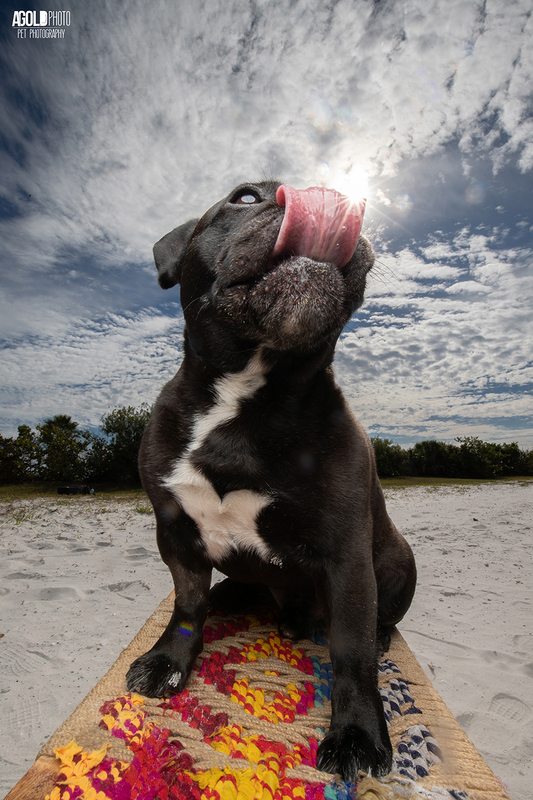 Our new Wide Angle Pet Photo Shoots were born by another request from Humane Society Tampa Bay for their annual calendar. We also offer Pets + People Photo Shoots during certain parts of the year. If you have already signed up your pet for an AGoldPhoto Pet Photo Shoot, we’d like to thank you for your support. If you haven’t signed up for an event or a private pet photo shoot yet, we look forward to meeting you! When taking pet photos at an animal shelter, we wanted potential adopters to see their personality in the photo, which how this style was born. 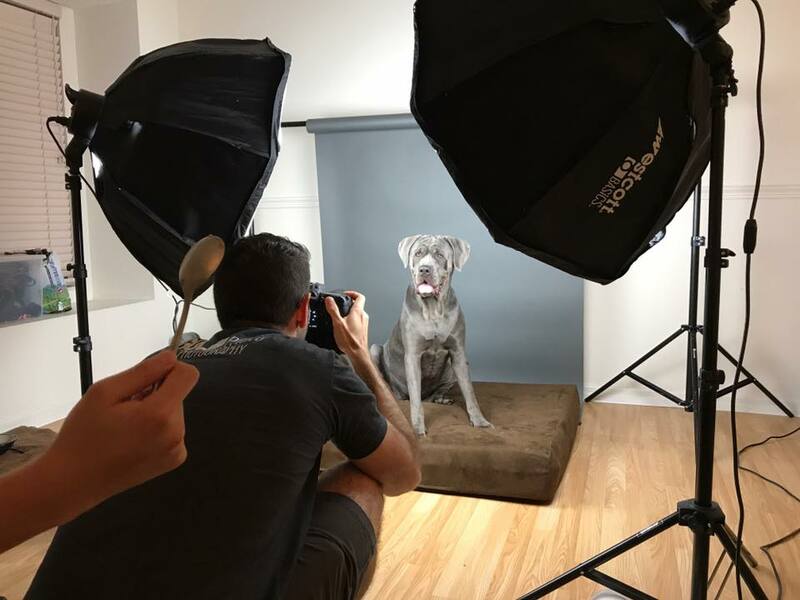 When we host a Pet Photo Shoot Fundraiser, we set up our studio lights and gray backdrop at doggy daycares, breweries, pet boutiques and sometimes at the shelter we are supporting. Check out our upcoming Pet Photo Shoot Fundraisers to see where we’ll be next. In-Home Pet Photo Shoots were born because someone in Tampa saw an event we were hosting, but their pet couldn’t leave the house, so we brought our pet photography studio to them. We’re often asked if we take photos of pets and people. We don’t offer these types of pet photos shoots all the time, but stay tuned for limited time offers during certain times of the year. Taking photos outside vs inside provides a different set of challenges. The lighting is always changing and and having a dog off leash can be a concern for dog owners. The weather gets in the way sometimes too. Our new Wide Angle Pet Photo Shoots use a wide angle lens which give a goofy perspective, but it also includes a blue sky, clouds and the sun. If you’re interested in book a pet photo shoot, you can schedule us for an In-Home Pet Photo Shoot, a Wide Angle Pet Photo Shoot or sign up for a Pet Photo Shoot Fundraiser.